In a recent German study published this summer in Frontiers in Neurology, researchers report the adverse effects of using antidepressants to reduce chronic pain. 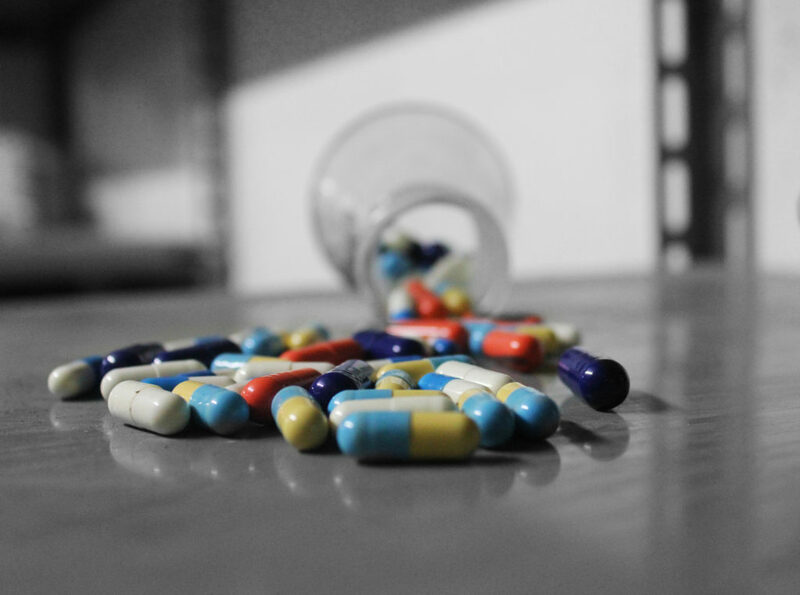 Results point to several potential side effects associated with common antidepressants that merit consideration, particularly from a public health perspective. According to researchers Carina Riediger, Tibor Schuster, Kristian Barlinn, Sarah Maier, Jürgen Weitz, and Timo Siepmann, patient experiences of chronic pain stemming from a spectrum of conditions (some of mixed or unknown etiology) are commonly addressed through the prescription of antidepressants by medical professionals. 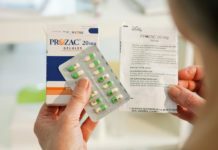 Through meta-analytic assessment of clinical trials of drugs including amitriptyline, nortriptyline, desipramine, milnacipran, venlafaxine, duloxetine, mirtazapine, and fluoxetine to combat chronic pain, researchers identified adverse effects compared to placebo for all antidepressants examined other than nortriptyline. These effects include, but are not limited to, dry mouth, dizziness, nausea, headache, and constipation. “While multimodal treatment regimens including both pharmacological and non-pharmacological interventions are most effective in the treatment of chronic pain, pain medication is still the second most prescribed group of drugs in the US alone, accounting for 12% of all prescriptions.” write Riediger and colleagues. The number of adults, specifically older adults, living with chronic conditions has increased in recent years in tandem with the human lifespan. One explanation for this trend is that people are surviving illnesses and incidents that would have historically proven terminal. Unfortunately, prolonged survival may account for the widespread increase in the human experience of chronic pain. The study authors report that chronic pain affects 36% of the US population and 19% of the population in Europe. Chronic conditions are often biologically, psychologically, and socially wearing, and represent a substantial financial burden to healthcare systems on an international scale. Because antidepressants (prescribed in lower doses than when used to treat depression) have been found to relieve pain associated with migraines, fibromyalgia, osteoarthritis, and many other debilitating conditions, Riediger and team sought to examine the tolerability and demonstrated risks associated with this form of treatment. Following a systematic literature review of clinical trials reporting the results of antidepressants in treating chronic pain, they extracted and cross-compared the sample number of patients, drug used as therapy, and the occurrence of side effects across 69 studies that satisfied inclusion criteria. Further, statistical analyses were conducted to examine factors including differences in incidences of adverse effects, withdrawal due to adverse effects, and differences in specific adverse effect profiles. Findings from this study warn of higher adverse effects compared to placebo for all but one antidepressant studied, and potential withdrawal symptoms. Co-medication use may also serve to further complicate individual experiences with antidepressants to reduce chronic pain. The conflict posed by these results is that efforts to manage one’s experience of a certain set of uncomfortable symptoms through the channel of antidepressants may mean substituting one form of suffering for another. As an example, the most prevalent adverse effects found to be associated with amitriptyline use were dry mouth, headache, body weight gain, thirst, and constipation. Although migraines and headaches are two distinct conditions, there is indisputable irony in using amitriptyline to combat one’s migraines and suffering headaches as a result. Temporary solutions for subduing pain should not overshadow the exploration of holistic and non-pharmacological possibilities for relieving the experience of chronic pain for those suffering. It really rakes my heart over the coals to see all of the media storm about “opioid crisis” when the dangerous epidemic of psych drugs is not addressed. It thrilled me to see this German study – I have made a note of it for when my own doctor tries again to inflict amitriptyline or duloxetine instead of the poppy. At Surviving Antidepressants, we have people who were put on these drugs and left on them for 10-15 years. When the drugs stopped working, or the side effects become unbearable – coming off of them is incredibly difficult. 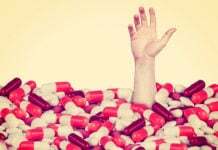 While we do have people who struggle with tricyclic drugs – the suffering caused by Cymbalta (one of the most challenging) and Lexapro (escitalopram) are the worst. This is the first study I’ve seen that begins to address the problems which are out here in the real world.